Strange as it sounds, yes, I’ve been hanging on to my hair. My story may seem vain at first glance, but please ladies, hear me out. Like so many others, I’ve always struggled with self image and confidence. After decades of makeup experiments and style flops, my hair was the only area that I actually loved (sad but true). Even more so when I was pregnant and even post baby, I was always complimented on my hair. It was long, thick and fortunately I was able to style it decently. As a grown woman, I allowed my hair to define me. No, it wasn’t naturally luxurious or glamorous, it took loads of time and work. But it was work that I had time for prior to the birth of my daughter. Shortly after her arrival, it became clear that I wouldn’t have that kind of extra time for a while. I wasn’t able to wash it as often, let alone style it. And as my daughter became an active toddler, my hair was tossed in a bun daily, which had me wondering why I was hanging on to this hair? As my mom style finally began to define itself (relaxed tees, jeans and flats), I realized that my long, luxurious locks were a thing of the past. Not only that, but my strands were holding me back. 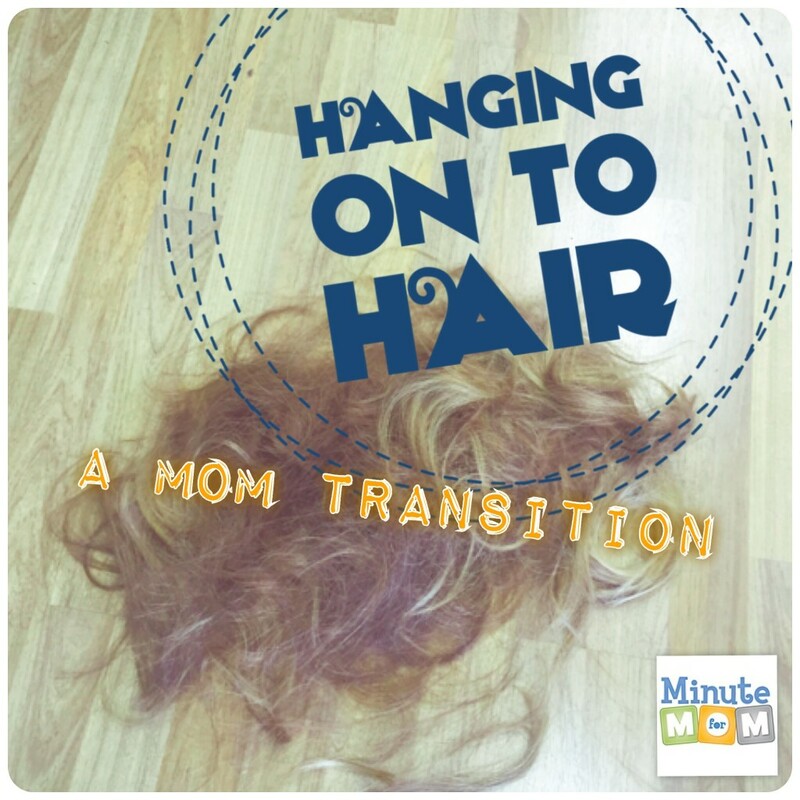 I hated that I couldn’t just toss up my hair and roll out the door (at the pace of my kiddo). And after my daughter expressed anxiety over losing her hair during her first trim, my mind was made up. I couldn’t allow her to view hair, makeup, or clothing as an important piece of who a woman is. I want her to see them for who they are and not how long their hair is. I know, she’s only 3 and maybe too young to fully get it. But, she definitely imitates others and is very curious, so it can’t hurt. The woman I was 3 years ago has definitely evolved since becoming a mom, and my hair was such a small part of that big transition. The change as a whole was so much more than I ever expected. The pre-baby me would have laughed at the thought of staying in on Saturday nights or skipping a shower. I would have snagged the 4 inch stilettos instead of the memory foam flats at the shoe store. After losing the 8 inches of hair, I feel free, comfortable and more momish than before. Proof that change is good, ladies. This entry was posted in Character Development, Self Esteem and tagged #beauty, #change, #changeisgood, #confidence, #growth, #JLLB, #juniorleague, #minuteformom, #personalgrowth, #selfesteem, #selfimage, #theconfidencepost. Bookmark the permalink. You’re an amazing example for your daughter!